Lacecap hydrangeas are subtler than the bolder mophead varieties. The flowers are made of both sterile and fertile florets. The sterile florets are the larger blooms and the sterile ones appear as beads before they open to tiny flowers. This arrangement of the flowers makes them very interesting. These hydrangeas are striking among perennials such as Japanese painted fern and white spiderwort. I have also used white Japanese roof iris (Iris tectorum) and strawberry begonias along the front of a hedge of lacecap hydrangeas with stellar results. 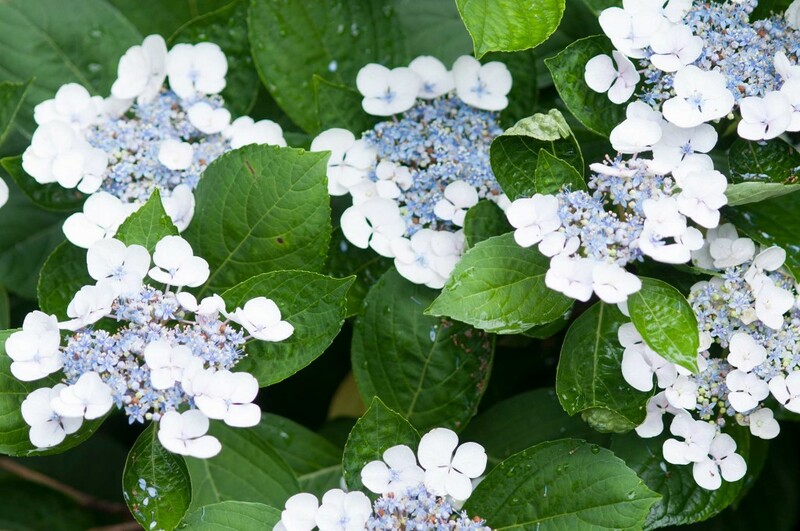 Hydrangeas are woodland plants so they prefer to be in consistently moist, well-drained, humus rich soil. A generous application of mulch will help keep the roots cool and retain moisture.